Chris Wood trained in fish ionoregulatory and respiratory physiology with Dave Randall at the University of British Columbia (B.Sc. 1968, M. Sc., 1971), in fish cardiovascular physiology and pharmacology with Graham Shelton at the University of East Anglia (Ph. D., 1974), and in similar areas of crustacean physiology with Brian McMahon at the University of Calgary (PDF, 1974-76). Following that he took up a faculty position in the Dept. of Biology at McMaster University, where he spent 38 very enjoyable years teaching physiology and general biology, and mentoring many students and postdoctoral fellows. During that period, his research interests broadened to include aquatic toxicology and environmental regulatory science, he developed ongoing research programs in Kenya and Brazil, as well as at the Bamfield Marine Sciences Centre (B.C. ), and he served several terms as Graduate Chair. From 2001-2014, he held a Tier I Canada Research Chair in Environment and Health. He retired from McMaster in 2014, where he remains Emeritus Professor and Lifetime Distinguished Professor of Biology. He has now “returned home”, moving his research lab and office to the Dept. of Zoology at the University of British Columbia, where he is appointed as an Adjunct Professor. At UBC, he avoids administration but continues to do research, supervises graduate students and postdoctoral fellows, and teaches graduate modules in environmental physiology and toxicology. He also holds appointments as a Research Professor at the University of Miami and a CNPq Science without Borders Fellow at the Amazon Research Institute, Manaus, Brazil. 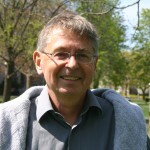 He received lifetime achievement awards from the Canadian Society of Zoologists (1999), the American Fisheries Society (2002), and the Society of Experimental Biology (2012), the Romanowski Medal in Environmental Science of the Royal Society of Canada (2007) and the Lifetime Award for Mentoring in Science of Nature (2010). He was elected as a Fellow of the Royal Society of Canada in (2003), and as a Member of the Brazilian Academy of Sciences in (2018). His basic research areas include the respiratory, ionoregulatory, and metabolic responses of fish, crustaceans, and molluscs to environmental stresses, with a particular interest in the adaptation of animals to extreme environments. His applied research examines the impacts of acid rain, global warming, ammonia, and metal stressors on aquatic ecosystems, and the improvement of environmental regulations. He has published over 660 peer-reviewed papers, 48 book chapters, and 5 books. He has served on the editorial boards of 8 journals, including at present Journal of Experimental Biology and Aquatic Toxicology.